How do you save a birthday from certain destruction? Send in Boo Boo & Bear to plan and execute a super-charged boy’s’ super hero birthday party! The bold color palette used for coordinating decorations, party favors and treats is full of action-packed details every super hero in training is sure to love! Don’t miss the beautiful pictures captured by Nikki Fitt Photography. Check out these action packed ideas in this super hero party dessert table. 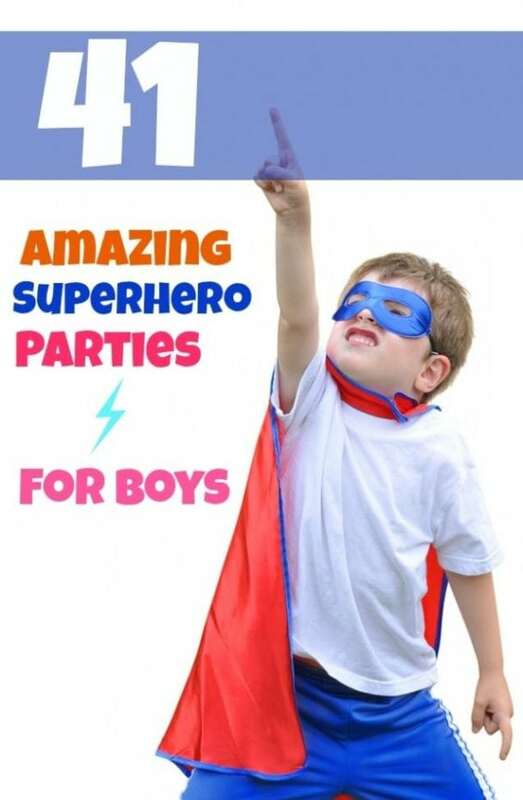 Save the idea with inspiration from this boy’s super hero themed birthday party. Extra! Extra! Read all about “Super Alex’’s” big day. An incredibly unique and creative detail from this superhero birthday party is the newsstand. Not only was it colorful and eye-catching, but it was the perfect spot to hang the superhero capes for party guests and house other detailed party favors and treats. The compartments were filled with colorful treats guests could dish up into their superhero favor bags. Check out the amazing details on those bags! I think it would be hard to choose which one to take home! There were also bubbles embellished with superhero labels. Cupcakes by Candy’s Cakes were displayed in all their glory with themed cupcake toppers designed by Melissa Howard Design. And of course, the newsstand had the latest and greatest Spiderman activity books for guests to choose from as well. “Is it a bird? Is it a plane? No… it’s Super Alex!” I love the amazing comic book style backdrop for the main dessert table. And how amazing are those super chairs? They coordinate perfectly with the pop art style of the party. Paired with 3-D buildings — which helped to serve bright, themed treats — the dessert table surely wowed guests. I can almost taste the cake pops, chocolate covered Oreos and macarons from SugarCrumb Parlour. An equally impressive Batman themed beverage station was decked out in yellow and black theme coordinating details. Thirsty? The beverage of choice, Bat Juice, was served in milk bottles with adorable wraps and striped paper straws. Need to do a quick-change into your super suit? Never fear, a red telephone booth is near! Guests could transform into their day-saving, superhero alter egos in this DIY telephone booth. Imagine how much fun kids had playing inside with that telephone! I’d say this was one super-charged boy’s superhero birthday party!